Don’t judge a book by its cover, goes the saying. If that includes the inside cover, never could this be more true than with the 2009 edition of the Diccionario politécnico de las lenguas española e inglesa. This very good dictionary has been spoilt by a spelling mistake on the inside cover. I suspect spelling mistakes on the front and inside covers are more often than not the fault of the publisher, rather than the author. It’s not the first time I’ve come across one. In the Humanities library at the Autonomous University of Barcelona there is an English dictionary with “Lenguage Dictionary” on the front cover (I seem to have lost the photo I used to have). And then there was the infamous case of the Catalan translation of the Asterix book Le Ciel nous Tombe sur la Tête, which erroneously appeared as “El cel s’ens cau al damunt”. Like the French tomber, caure is not a reflexive verb. In Spanish, however, they use the reflexive verb caerse, hence the mistake. But the mistake is twofold, since even if Catalan did use the reflexive form caure’s, the correct combination of the pronouns se and ens is se’ns, not s’ens. The English title of this technical dictionary is also spelt incorrectly inside the book. 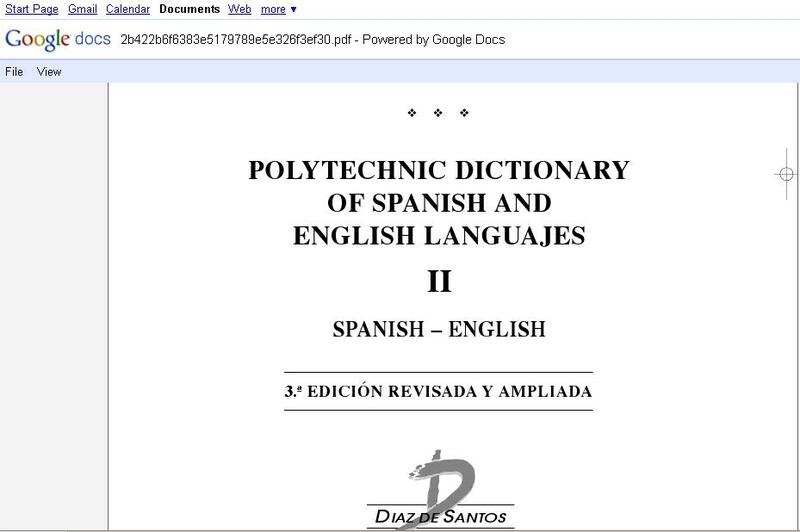 Despite these mistakes, this is a very good dictionary and I would highly recommend it to anybody translating technical texts between Spanish and English. I just wonder how many people have read the online fragment provided on the publisher’s website and judged it by its inside cover. 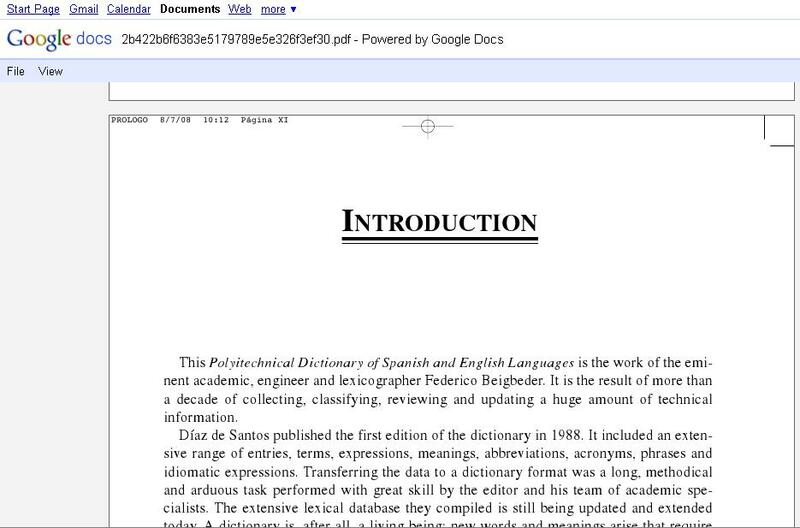 Linguee is an online tool that searches for online translations of terms. It was originally only available for English<>German, but French, Spanish and Portuguese have now been added. You have to look carefully at the sources use and check the results for reliability, but provided you do that it’s a very useful tool.